How to Hide Apps on Android Without Root? While we use an android smartphone, even though it is our personal phone and it does not fall in the hands of other people, still, to avoid inconvenience at different times, you need to learn how to hide apps on android without root. 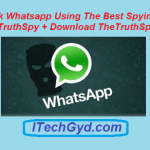 This is importance because we have many secrets which are in our apps sometimes such as instant messaging apps and others and that is why we need to hide them so that in case our phone gets in to the hands of other people, they will not be able to see our secrets. When you root your android smartphone, you get a lot of free apps for the purpose but when you have not done rooting, you still need to know the process. So now I am going to give you this quick guide in which you are going to learn how to hide apps on android without root. Step-by-Step Guide to Hide Apps on Android Without Root. To perform this process, it is very important that you are connected to the internet because we are going to download and install an app named Apex Launcher for doing this process. So, get connected to the internet and follow this guide below. Go to the Google Play Store in the first step and search for this app named ‘Apex Launcher’ at first. Once you have found the app, download and install it on your android smartphone device. If you are installing this with an APK file then go to the security settings in your phone and enable ‘unknown source’ option to do it. Once you have installed the app and to hide an app on your phone, simply go to the ‘Apex Settings’. In the ‘Apex Settings’, go to the ‘Drawer Settings’ and then go to the option saying ‘Hidden Apps’. Now there will be a long list of all the apps that you have installed on your phone. Select the app that you want to hide and save it. When you need to show the app again, repeat the same process and this time un-check the box. Watch Video Tutorial to Hide Apps on Android Without Root. You can also learn this using this video tutorial here. So, this is it. This is how you simply hide app on your android without root or any other complication. One thing you should know that there are a lot of other apps just like apex launcher which give even more options and some of the apps are paid as well. You can search all those apps as well and use them to your advantage. 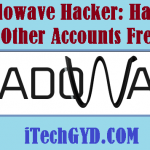 Don’t forget to leave us your feedback about this guide and keep visiting our website for free tech hacks and guides. 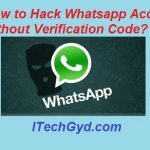 How to Hack Whatsapp Account without Verification Code? 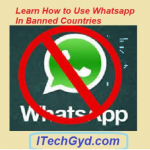 How To Use Whatsapp In Banned Countries in 2019? How to Hack Whatsapp Without Access to Target Phone? Hi. This is Faizan Gul. I am an Engineering Student and tech enthusiast. I love to practice new things and then write about them. In this blog, i would be writing about how to tech guides, tricks and tips and Tech Gadgets Reviews. https://itechgyd.com/wp-content/uploads/2017/02/hide-android-apps-without-root.jpg 1080 1920 Faizan Gul https://itechgyd.com/wp-content/uploads/2019/01/itechgyd-logo.png Faizan Gul2017-02-17 20:39:512017-02-17 21:00:23How to Hide Apps on Android Without Root?